Bill had an indomitable spirit and an unwavering devotion to his wife and family. He cherished his wife Donna and the remarkable life they shared together. Bill’s family was the pride and joy of his life and he was always there to support them in achieving their highest potential. He was also a tireless and selfless volunteer, serving Lions Clubs International for 34 years. 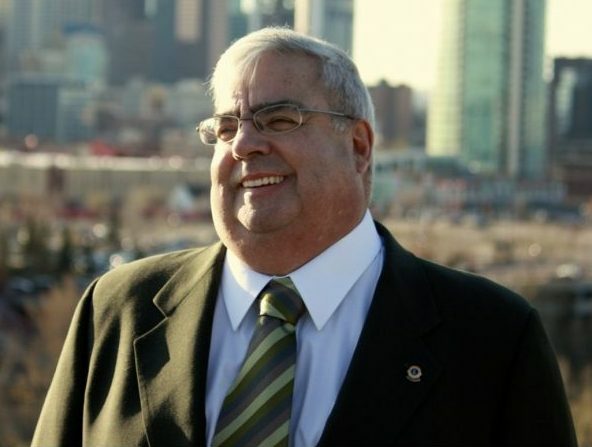 Bill graduated from the University of Calgary in 1969 with a B.Sc. in Chemical Engineering. Upon his retirement in 2008, after working 27 years for Shell Canada Limited, he enjoyed spending his free time travelling, watching sports and spending time with his family. Bill is survived by his wife Donna of 47 years, children Maureen (Arnold), Elaine (Bob), Gordon (Melanie), grandchildren Scott, Ryan, Claire, Jason, Mark, Aubrey, Oliver, Amos, sister Judy, and brother-in-law Howard. At Bill’s request, no funeral service will be held. My deepest condolences on the loss of a good man and lion Bill. May you find some comfort in the memories you will cherish over of your life with Bill over the last 47 years. Please know you are in the thoughts and prayers of many. Our condolences to you all on the loss of your beloved husband , father and grandfather. So sorry for your loss Donna. I always enjoyed your company at the luncheons, and hearing stories of your travels with Bill. Hang in there; you are a strong lady I know. Our sincere condolences to you and your family at this time of loss. Our thoughts and prayers are with you. Bill was a gentle soul and a great neighbour and will be sadly missed. My deepest sympathies during this time of sadness. Please accept our deepest condolences on the passing of Bill. May your memories of Bill bring you peace and comfort in the days ahead. Our thoughts are with you all. Donna, Alan and I send you a great big hug and our deepest condolences on the loss of Bill. It’s not much and may not help, but we are thinking of you. Thinking of you at this sad time. May you find peace knowing that his tireless volunteer work with the Lions, truly made a difference and changed the world for many. I have so many fond memories of this happy man. Please take care.